I want to share some stories in the next few months that will give you a glimpse at the front-lines work of God through Restore Hope and our amazing partners. We hope these reports will warm your heart as you consider how your partnership is affecting the lives of others across the world. So, please enjoy reading the first of these three reports. create collective impact. Together, we succeed. My passion is helping people who are forgotten. As a Disaster Recovery Specialist with the Baptist General Convention of Texas, I am able to live out my passion for both immediate and long-term recovery. Once the media loses sight of a disaster, the world assumes recovery has occurred. But in reality, many victims of disaster have no savings, no insurance, no guidance. Many are poor, disabled and lonely. When Ebola struck West Africa, we worked in close partnership with Restore Hope. Among other things, Restore Hope had boots on the ground. We had the ability to locate food that could be donated from various organizations in our network and funds for shipping relief supplies. Together, Texas Baptist Disaster Recovery and Restore Hope supplied food to Ebola-stricken families in containment, communities suffering from food shortages, the caregiver families of Restore Hope’s sponsorship and interim care programs and the children orphaned by Ebola, many of them Ebola survivors themselves. We were really excited to help. Together in 2016, we will continue to care for Ebola orphans through Restore Hope’s Hope Center Interim Care Center. Disaster is not over until it’s over. And, we will be there until it is. 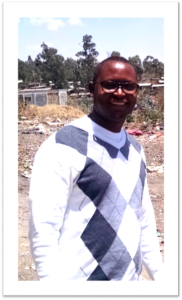 The community of Korah surrounds the huge Koshe garbage dump in the city of Addis Ababa, Ethiopia. It is situated between a leper colony and a Tuberculosis hospital. I was raised in that dump. My parents were lepers. As a child, I foraged for food in this dump to sustain my family. I learned to fight. Only the strongest children were assured a meal. One day I was hit by a garbage truck as it was backing up. I suffered a large cut on my mouth that got infected. The infection grew worse and worse. It was extremely painful and unsightly. A young, American volunteer came to the dump, and he was very concerned for me. He told me he knew someone who could help. He connected me to a sponsor in the USA who paid for my medical care and supported me to go to school. That man stood by me all the way through college. I graduated with an engineering degree. But God had other plans for me. God called me to stay in Korah, to give other children the same opportunity I received. I now work as the Director of Bethel Holistic Ministries advocating for children and disabled people who have no voice. By partnering with child, family and orphan sponsorship organizations, my staff of social workers and I are able to offer hope, development and life to families like mine. As an adult, I was given a chance to go to America and meet my sponsor. I assumed he was a very wealthy man. I was humbled to find that he was a disabled, American veteran who lived in a trailer home. He gave up a significant portion of his own income to sponsor me. 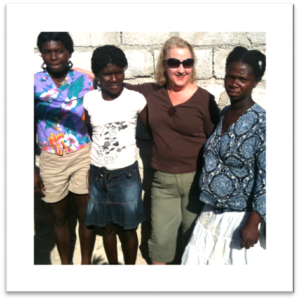 I am becoming a local partner with Restore Hope’s Orphan Sponsorship Program. Together we will transform the lives of Ethiopian orphans.